Carson, CA – (February 4, 2013) K9 Cloud 9, a southern California pet products company announces the debut of their high quality line of frozen yogurt treats for dogs. The company offers four fun flavors that every dog can enjoy. The company also introduces its sampler pack that contains one of each flavor. K9 Cloud 9 eliminated thickening additives that could pose harm to dogs and omits adding any sugar setting itself apart from similar products. Owner and founder Lemuel Acosta states that the company’s goal is to design the products as a whole from its recipe to its container. The dogs are essentially the end-users and K9 Cloud 9 developed a line of products that are universally suited for every breed, size, or age. The frozen yogurt treats are served in four-ounce cups that are shallow and wide for easier consumption; contrasting similar products that are tall and narrow or even too small for larger dogs to consume. They are available in packs of four in four fun flavors: Honeydew Apple, Papaya and Peanut Butter, Peach Mango with Honey, and Peanut Butter and Banana. For those who can’t decide which flavor to get, the company also offer a ‘Sampler’ that contains one of each flavor. 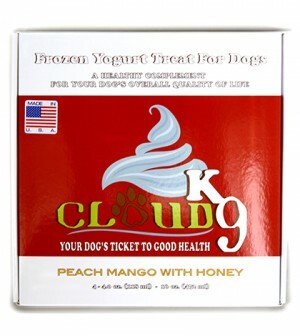 K9 Cloud 9 does not produce its products through a third party re-packing facility. The frozen yogurt treats are all made in the company’s facility in California, USA. The treats are now available through a number of independent retailers in southern California and are distributed by E & F Pet Supplies throughout Southern California, Arizona, and Canada. K9 Cloud 9 is a southern California based company whose aim is to provide the highest value for the consumers without compromising quality. The company’s mission is to contribute to the betterment of the health and quality of its patron’s life by making their canine companion’s overall quality of life better. 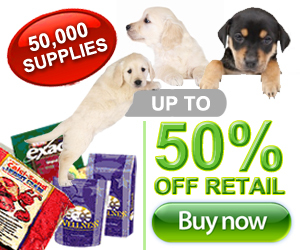 The company is committed to providing the highest quality nutritious food for dogs in every life stages. For more information, please visit http://www.k9cloud9.com/.